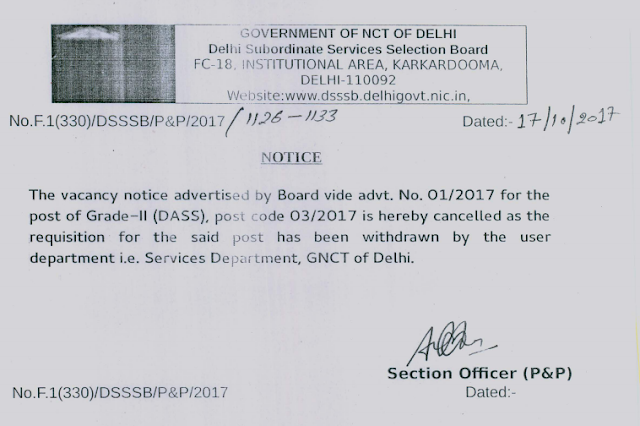 DSSSB has issued a Notice stating the vacancy advertised by Board advt. no. 01/2017 for the Grade-II (DASS), post code 03/2017 is hereby cancelled as the requisition for the said post has been withdrawn by the user department. You may download the official notice from the link provided below.